RigLock® is quickly finding a common place on shale plays across the US and Canada where time has the most significant effect on an E & P companies profitability. The NAM, specifically, is highly commoditized which makes the significant gains E & P companies are seeing with RigLock® implementation impossible to ignore. With such an impressive report on efficiency, it is important to note that RigLock® was created for safety and this comes through in the quality of the construction as well as very intentional safety features the manufacturer has incorporated. What is it that makes RigLock® so unique? The remote hydraulic control unit for RigLock® has a digital pressure monitoring control panel built in. This easy to use panel aids operators in both testing and monitoring the pressure of the wellhead. Without having the ability to test and monitor pressure, dangers could quickly arise on the wellhead. Cheaper locks have popped off under the same pressure situations where RigLock® sees no issue. 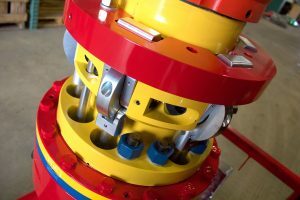 By monitoring pressure on the control panel, operators can now monitor the sealing surface and check to make sure there is a proper connection before pressure is introduced to the wellhead. Even better, they can monitor and test the pressure from 100 feet away. This helps operators stay safe in what would otherwise be dangerous, high pressure environments. With RigLock®, the locking ring sits in its highly visible location on the exterior of the unit where it can typically be seen from anywhere on the frac pad. 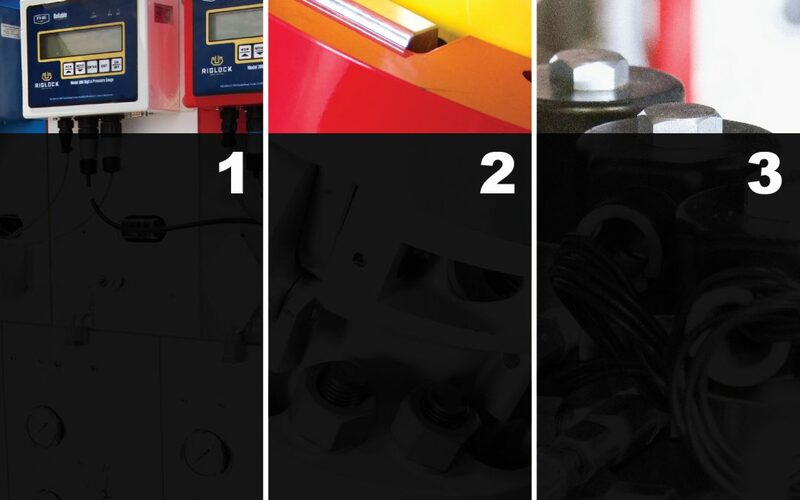 The cam locks alone will keep RigLock® in place under pressure, but sliding the locking ring over the cams creates a fail-safe in the event of unexpected pressure loss. Behind the scenes, the RigLock® control unit uses a lever solenoid to engage the “up” function of the locking ring. 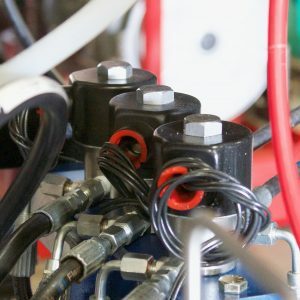 If the transducer on the solenoid detects any pressure, it will disable the “up” function of the locking ring until no pressure is detected and it is in fact safe to release the ring.